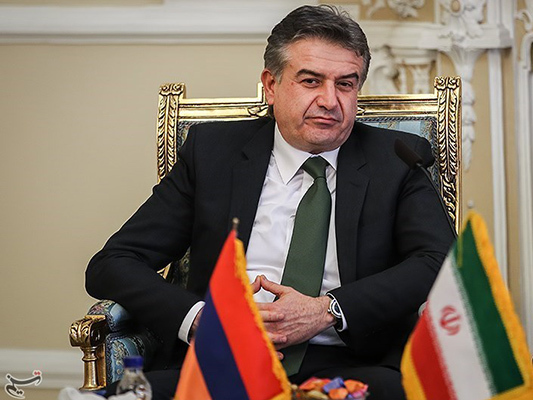 Armenia’s Prime Minister Karen Karapetyan says his country attaches special importance to its relations with Iran and is keen to promote mutual economic ties with the Islamic Republic. 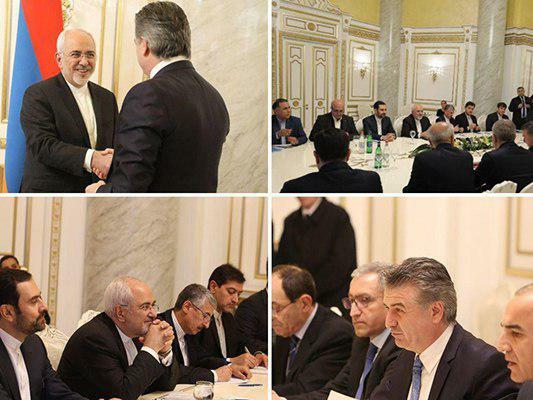 In a Tuesday meeting with Iranian Foreign Minister Mohammad Javad Zarif in Yerevan, Karapetyan said his country is interested in expansion of cooperation with Tehran in the field of energy and other economic arenas including the Iranian and Armenian free trade zones. He hailed the growing trend of imports and exports between the two countries, and said his country is prepared to help Iranian companies take advantage of the Eurasian Union’s benefits through Armenia. “We are also ready to implement transit plans,” he added. Zarif, for his part, thanked the Armenian officials for extending their condolences over the recent deadly earthquake in Iran. He underlined the need for further expansion of business ties between the two sides, and said free trade zones can provide the opportunity for promotion of mutual cooperation. The Iranian top diplomat also stressed the need for removing dirt from Aras River, which is shared by the two neighbouring states. On cleaning Aras River, the Armenian PM said the working group responsible for tackling the pollution of Aras River has taken measures in this regard, and its report will be presented during the Joint Commission’s meeting.